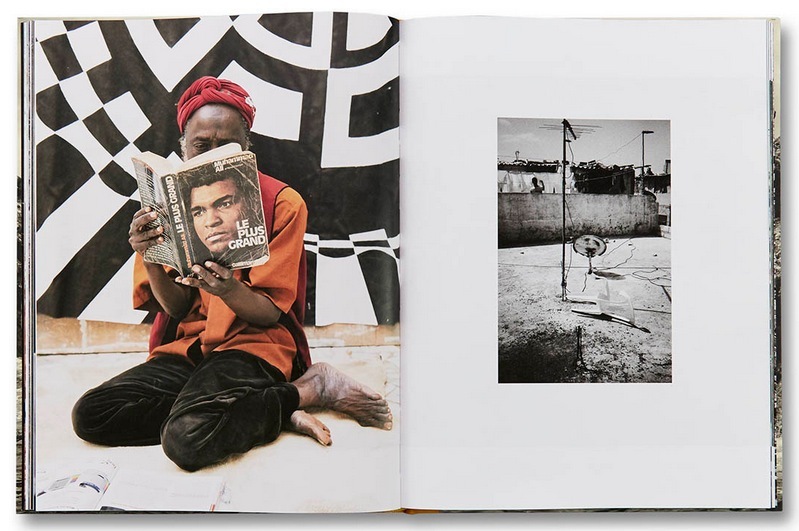 Book Review Nothing's in Vain By Emmanuelle Andrianjafy Reviewed by Karen Jenkins “The opening sequence of Nothing’s in Vain reflects that feeling of a tentative, catch-as-catch-can initial approach, while also laying out the collection’s overarching themes. 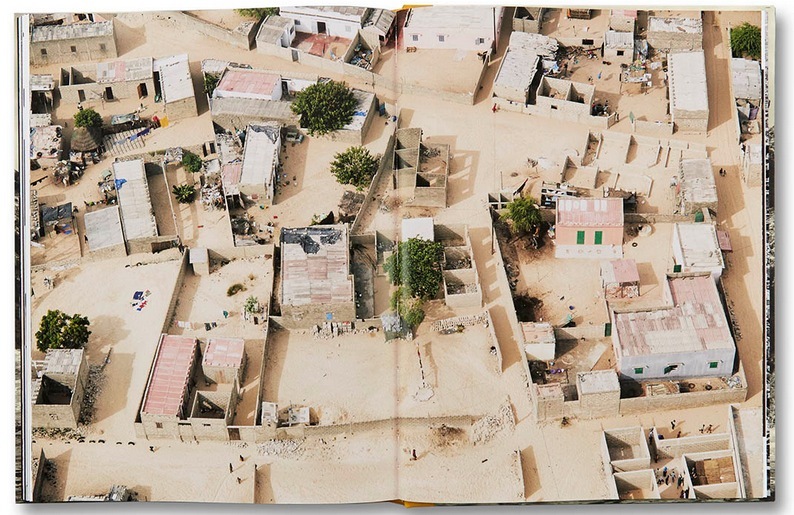 The cover photograph of a wall of rock rising from the ocean, solid and impenetrable, yields to blurry first impressions of Dakar’s natural forms, architecture and inhabitants." By Emmanuelle Andrianjafy. Mack, 2017. Mack, London, United Kingdom, 2017. 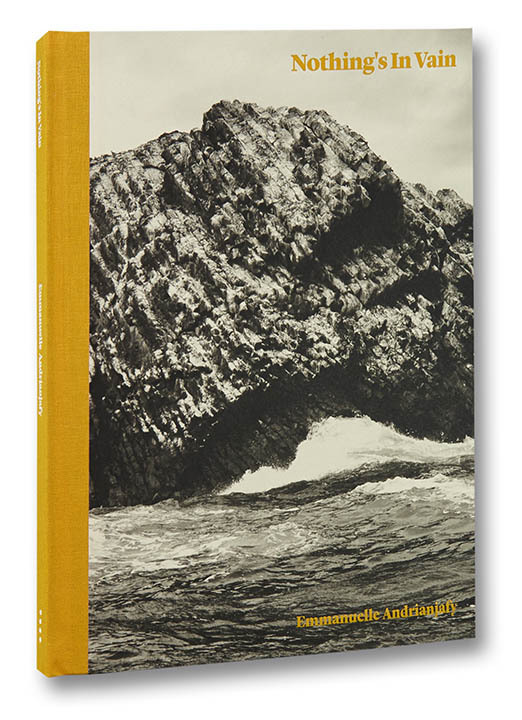 112 pp., 54 four-color and 20 duotone illustrations, 8¼x11". Much lamentation has been offered on the kind of tourist photography driven by a checklist of “must sees” and a tunnel vision approach that so often negates the in-the-moment experience and opportunity for discovery. But this impulse to hone in on the recognizable is also an understandable reaction to “newness” and can help to establish a starting point or guiding parameters for exploration. When it’s not just about grabbing the visual souvenir, the camera can offer a way to cope with the vast unfamiliarity that can mark travel or relocation. By providing a literal framework and for some a certain remove, the act of photographing can be both reassuring and transformative. 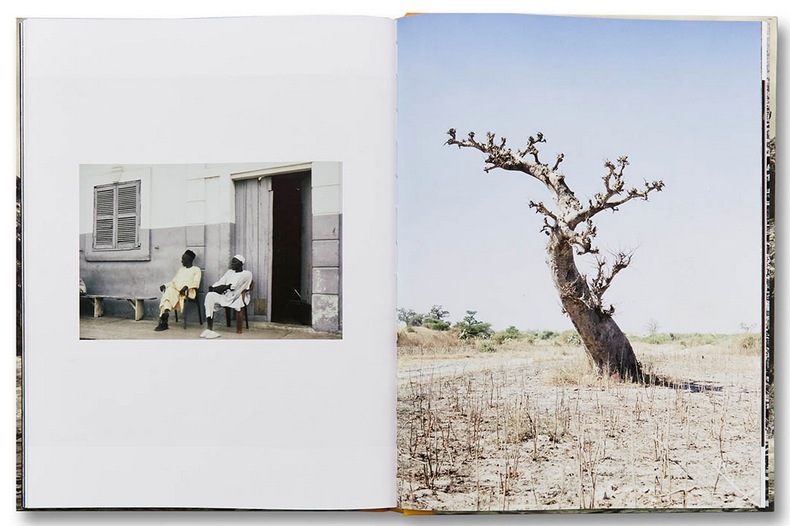 In 2011, Emmanuelle Andrianjafy made a new home in Dakar, Senegal, a move prompted by her husband’s work. She expected that her upbringing in Madagascar and years spent living in France would have eased the transition to this coastal capital (once part of the French colonial empire); instead, she found it jarring and disorienting. Within two years, Andrianjafy took up photography as a way of finding her way clear. Nothing's in Vain. By Emmanuelle Andrianjafy. Mack, 2017. In a companion essay for Andrianjafy’s entrancing debut publication, Nothing’s in Vain, Emilie Øyen, an American writer living in Dakar, describes her own unfolding experience of the city, beginning with her approach by taxi. “I pushed through a daily, alien landscape that was not my life, but a constant theater to observe,” she writes. Many of Andrianjafy’s first photographs were also shot from the window of a moving car. In words and images, both women offer a reminder that for those keen on catching the moving spectacle from a safe distance, such forms of transportation can serve as a buffer, while also framing the view. The opening sequence of Nothing’s in Vain reflects that feeling of a tentative, catch-as-catch-can initial approach, while also laying out the collection’s overarching themes. The cover photograph of a wall of rock rising from the ocean, solid and impenetrable, yields to blurry first impressions of Dakar’s natural forms, architecture and inhabitants. One shot depicts a seated man awash in an amber stain of heat and suspended animation. 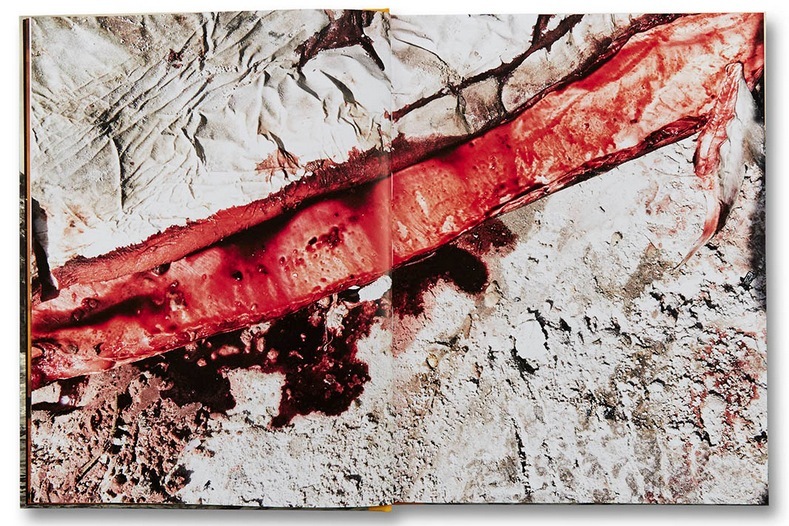 The bloody gash of a fish’s gut is both close-up details and scarred landscape. The natural world of trees and grass sandwich an expanse of bland white wall; a splintered crack the only blemish to its solid surface. Andrianjafy’s first images of Dakar were in black and white, but as color joins the mix, her approach becomes less mediated. Her street scenes, portraits and views of architecture, and nature form a rich mélange of color, texture, and shifts in scale and perspective. A changing urban environment is marked in ways both subtle and discordant, as she notes the turnover from old to new, building up and tearing down. Some structures feel organic to the environment in their worn surfaces and layered steadfastness, while others stand out in their soulless artifice. 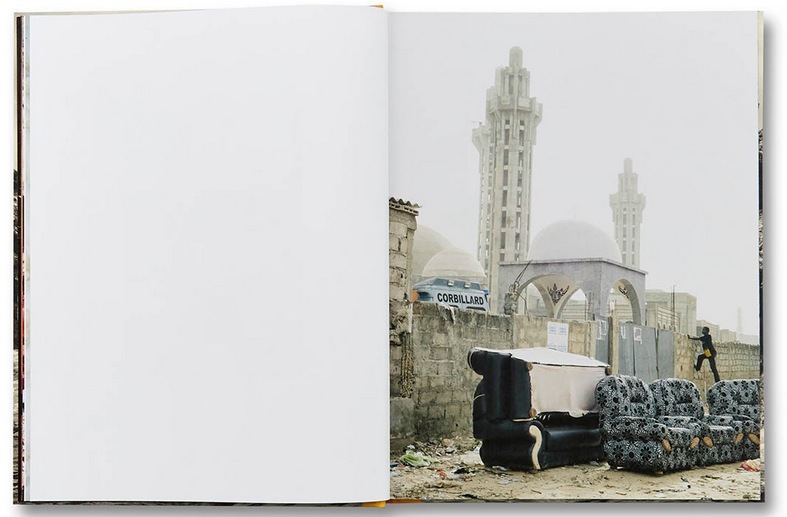 Recurring images of litter and debris underscore what is being discarded on a grander scale. The intersection of natural and man-made environments manifests where Astroturf heaps on top of growing grass and weeds force their way through concrete as nature finds a way and holds its ground. 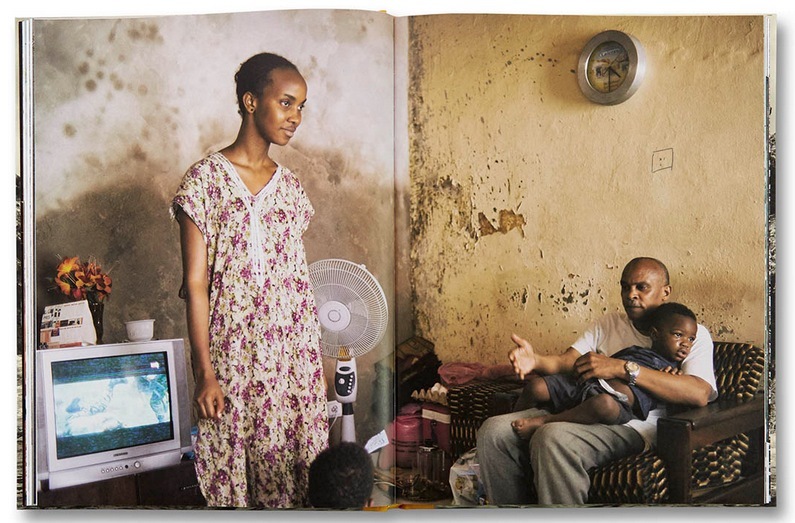 Where her gaze turns to people, Andrianjafy has created portraits of fellow residents that are unforced and direct, as well as idiosyncratic alternatives to her photographs of the region’s opaque leaders and figureheads, broadcast in posters and TV screens.